On the derivation: Current geomagnetic disturbance represented as Magnetic Equivalent Convection (MEC) vectors. 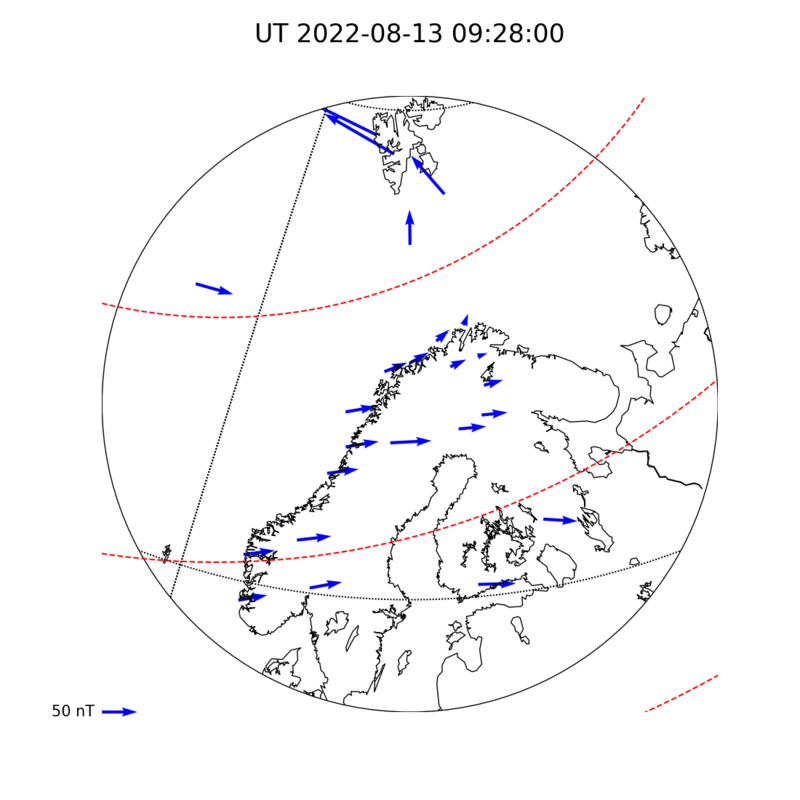 The ionospheric plasma convection here is estimated by the rotation of the geomagnetic H-component vector anticlockwise by 90 degrees. Note that this estimation is only valid if one assumes that the detected ground disturbances are solely caused by the ionospheric Hall currents.